Tinnitus is the most common condition eligible for VA Disability. The number of Disabled American Veterans with tinnitus has risen steadily each year since 2006, with a matching increase in the number of claims. Costs for the VA are rising, too, with $1.5 billion paid in VA Disability Benefits for tinnitus in 2012 alone. That figure is expected to soar to a whopping $3 billion in 2017! There are 2 bills in Congress right now that deal with disability for tinnitus and hearing loss, one in the House and one in the Senate. The bill in the House would require the VA’s Auditory Centers of Excellence to work with the DoD’s Hearing Center of Excellence to research the prevention and treatment of tinnitus. This research would focus on the effectiveness of different tinnitus treatments, the underlying causes of tinnitus, and the physical connections between tinnitus and hearing loss. Also of concern to Congress is a growing body of research from other sources that shows a direct link between tinnitus and PTSD and TBI. Back in 2006, a report from the Institute of Medicine of the National Academies, titled “Noise and Military Service: Implications for Hearing Loss and Tinnitus”, gave recommendations to the VA for properly treating auditory conditions. The bill that is currently in the Senate would hold the VA accountable for putting into practice the recommendations made in this report. If the bill passes into law, the Secretary of the VA would be required to submit reports to Congress on how well the VA is doing providing care, treatment, and benefits to veterans with hearing loss, tinnitus or other auditory system injuries or conditions based on the recommendations from the report. The VA’s reports are to include details on the veterans that are denied hearing loss-related benefits because their Military Occupational Specialty (MOS) is NOT included on the Duty MOS Noise Exposure Listing. In addition, this bill would require the VA to critically examine and explain their criteria for rating hearing loss and tinnitus to ensure that the ratings and compensation properly reflect the reduced earning capacity of veterans with auditory disabilities. Both of these bills are still being processed by Congress, but we will continue to watch their progress and let you know when (or if) they pass. Hopefully they will, and soon. Listened to high speed morse code (for 3+ years) through static louder than a rock concert. Have 10% tinnitus and hearing is terrible. Don't know if a 29251 is on the list of AF high probability for hearing loss. Probably need to go in. Stumbling every now and then too. MOS 29251 isn't specifically listed on the Noise Exposure Listing, however, it is one that can be strongly argued should be. I think you should go ahead and apply for VA Disability. I'm pretty confident that they will consider your hearing loss and tinnitus ratable. Now, since it isn't officially on the list, they may still deny it during the first round, but you can appeal, and I think you would ultimately win. As a pneudraulic repairman, you should have had MOS code 2A635, 2A655, 2A675, or 2A695. If you did have one of these MOSs, then it is covered on the Duty MOS Noise Exposure List, and they should definitely not have denied your claim. If you had one of these MOSs, you can submit an appeal, and you should be successful. I was a 13 Bravo/Field Artilleryman, and I know my MOS exposed me to high noise. Where can I find the website, which lists Duty MOS noise Exposure so I can add it to my VA claim? Combat engineer, 7yrs service. 12 months able operator, 3 years of. .50cal gunning and multiple explosions/detonations blown ear drum in basic training.....VA still says I'm not service connected. Oh do I hate the ringing!! Currently receiving 20% disability for hearing loss, however VA did not factor in speech discrimination and opted to use decibel loss only. Having issues understanding words, VA doctor (audiologist) informed me my word recognition is poor and ordered a MRI. What options do I have? If the VA physician orders a speech discrimination test and it, combined with the puretone threshold test, qualify you for a higher rating, you can apply for an increase. If he says your word recognition is poor, then talk to him about doing a speech discrimination test. Hi Dr. Johnson,. I have tinnitus and have had it since sometime during service. My Firecontrolman (FC) eating is in the list as moderate. I applied for a rating on tinnitus days after my discharge but it was denied. It is now keeping me up at nights and distracting me all day. I just don't know how I can prove it is service connected over 20 years later. I feel they wrongly denied me back then but I don't think that's worth a fight. What are your thoughts? The most tinnitus can be rated is 10%, so if that isn't worth a fight, then it isn't. However, in most cases, MOS's listed as moderate should be granted service-connection, so you can always try to reapply. It's likely you could get a different outcome this time since that list didn't exist when you first applied 20 years ago. hearing loss received during combat? Is it eligible for purple heart? As long as you have evidence of your hearing loss being treated while in the military and being directly caused by your active combat, then, yes, it would qualify for the Purple Heart. would that mean that if one got prostate cancer as a presumed result of agent orange, then he may qualify for the purple heart? Unfortunately, no. Agent Orange exposure is not the act of active combat and so does not qualify for the Purple Heart. "AO was a herbicide used to defoliate dense vegetation to deny secluded transportation and refuge to the enemy. AO was never intended to be used, nor used, as an anti-personnel weapon. Advocates seeking to have their AO-related physical ailments judged as "wounds or injuries of war" have irresponsibly and incorrectly subscribed (often deliberately) to the myth that all adverse physical conditions that can be directly attributed to a theater of war are eligible for the PH. Both the Department of Defense and Congress have relied on objective scientific studies to conclude that AO is neither an enemy or friendly fire inflicted wound or injury. The Department of Veterans Affairs provides treatment and/or compensation for diagnosed cases of herbicide-related toxicity. No United States military medal has ever been established by DOD or Congress for physical conditions that may be associated with herbicide contact. Previous petitions by veterans or veterans groups to make this condition eligible for a new or existing medal were not approved." PMOS 11E3P SMOS 45K3P 9 years inside Main Combat Tanks with 2 years as an armor officer instructor at Ft Knox Have had ringing in years since I left in 1981 and has been getting worse it is now at the point that I can not make out some words at times and crowd noises bother me is this rateable? Because of your extended work in tanks, you most probably do qualify for hearing loss and tinnitus. Definitely submit a claim for it. I would be incredibly surprised if they denied it. "1.Your examiner Opined that it is at least as likely as not that your hearing loss is due to military noise exposure. 3. VA Examination findings show the left ear with 88% discrimination. Decibel loss at the puretone threshold of 500 hertz is 30 with a 25dB loss at 1000hz, a 25dB loss at 2000hz , a 65db loss at 3000hz, and a 60dB at 4000hz. The average dB loss is 44 in the left ear.
. dB loss at the Puretone Threshold of 500hz is 25 with a 30dB loss at 1000hz, a 30db loss at 2000hz, a 65 dB loss at 3000hz, and a 60 dB loss at 4000hz. The average dB loss is 46 in the right ear. 4. Service connection is warranted because your military occupational specialty of cannon crewmember is consistent with acoustic trauma and your hearing loss has been linked to that acoustic trauma. 5An evaluation of 0 percent is assigned because your right ear has a speech discrimination of 86 with an average dB loss of 46 and your left ear has a speech discrimination of 88 with an average dB loss of 44.The evaluation of hearing loss is based on objective testing. Higher evaluations are assigned for more severe hearing impairment." Yes, it's pretty normal for a condition to be considered service-connected but not rate higher than a 0%. For your hearing test results, they did rate you correctly. If you check out the Hearing Loss Rating System on our website, you'll find that the rating associated with your test results is a 0%. Basically, you have hearing loss and it was caused by your military service, but it is not yet severe enough to warrant a higher rating. The good news is that since it was considered service-connected, if it gets worse in the future, it will be quick and easy to have your rating increased. Your case was determined correctly and fairly (and very quickly), so there is nothing to do right now. Since it is service-connected, you are entitled for full health care for your hearing loss and if it worsens in the future, your rating will be increased. Thank you very much ! I appreciate the response, my biggest worry is the "not knowing" part. I always just assumed that disability compensation was for Combat veterans who were wounded in battle. I have independent testing results that show a much higher level of hearing loss, but at least they are admitting it was service related and I am learning that is usually the biggest hurdle veterans face. Just wish I would have known about what's available a long time ago :). I also would like to say that with the thousands of negative issues you hear about the VA daily, in the news and on the web My experience has been nothing but Top Notch from day 1 !Mountain Home, TN has to be the exception to the rule because there isn't a day or week that goes by that they haven't gone out of their way to provide excellent care to me and several of my Veteran Brothers and Dependent family members of friends. Thank you for all you do Doctor ! If you have test results that show I higher level of hearing loss, you may be able to get your rating increased. The VA will want to do another round of their own tests, but if your hearing is worse than the tests they rated you on, then the results of the new tests will be enough to increase your rating. I'm not sure of the dates of all your tests, but they will definitely perform additional tests and get your rating increased if your hearing is worse. It's great to hear about your interactions with the VA. The VA does deserve a good plug for the many, many things they do right. Many veterans, such as yourself are getting exceptional treatment and service. liver hemangioma 14cm caused by MVA on active duty. A liver hemangioma is rated under code 7344 on how it effects the functions of the liver. I am preparing my supporting documentation and getting a hearing test completed by a private audiologist to submit with my claim. My original MOS was 328x0, and was changed to 455x2, which now seems to be 2A1X3. Avionic and Navigation Systems and worked flight line my entire time in the Air Force. Is there any advice you can provide for my submission? I intend to provide documentation on the type of aircraft I worked around on a regular basis, etc..
MOS 2A1X3 is listed as a high probability of hearing loss on the VA's Noise Exposure Listing, so you'll have no problem getting your hearing loss rated. All you need to do is show them proof of your MOS and you'll be good to go. You shouldn't need any special beyond this. They'll be able to look back and see that it is now listed as 2A1X3, but it doesn't hurt to point this out. Otherwise that, you should be good to go. Should be a pretty easy claim. I was a Photographer's Mate in the Navy. While Fast Letter 10-35 indicates PH rate was "low" probability, I was a specialized aerial reconnaisanse NEC 8195 Camera Control Maintenanceman assigned to Reconnaisance Attack Squadron (RVAH) 11, performing systems maintenance and photo support on the RA-5C Vigilante (known to be the loudest aircraft in Navy inventory), and I was a flight deck worker for 3 years. This was during the westpac tour on CVA-64, 1971-72, during Operation Linebacker, and we spent 12-15 hours daily in flightdeck operations. During this time, we had a period where we performed "hot turnarounds" were we configured, troubleshot systems, and loaded/unloaded film from the aircraft while the aircraft was still running, literally feet from the exhausts. I have me entrance exam which shows perfect hearing, my exit exam which indicates some hearing loss, and VA now has found me to have bilateral tinnitus and moderately severe hearing loss. VA Disability wants me to prove that I worked on a flight deck. My DD-214 indicates NEC 8195 Camera Control Maintenanceman, with a secondary NEC of 8309 RA-5C Organizational Systems Maintenance. We were awarded the Presidential Unit Citation for this time period. What advice can you give to satisfy the VA? All you need to show is evidence that you were assigned to the Vigilante. Any assignment records will do. The Presidential Unit Citation might also do if it does connect you to the aircraft specifically. Basically anything official that connects you to the aircraft should be sufficient. I spent 8 years in the 80's as an Army O5H, Morse Code Interceptor. I am not sure how to proceed, but I know I have hearing loss. I've been ashamed to admit it. Both O5H and the more general 98H for Communications interceptor are not on the presumptive list for noise exposure. This means that the VA will not automatically grant service-connection for your hearing loss, but if you can provide proof that you were regularly exposed to unusually high levels of noise, they may still grant it connection and compensate it. You just need to submit a VA Disability Claim with the necessary evidence. Again, without the additional evidence, the VA won't grant service-connection, so if you don't have it, it may not be worth your time. I too was an 05H and I have filed for, and was awarded, 10% for tinnitus and a "0" service connection for my hearing loss. I was in the ASA from 1970-73. I am, however, going for an outside the VA hearing test to determine if the VA is correct in it's latest assessment. I am having more and more daily problems, even with hearing aids, and the VA keeps telling me there is no real change. Since you were granted service-connection, they will increase the rating once you qualify for a higher one based on your test results: the puretone threshold average and the speech discrimination. Depending on your original tests, your hearing may have to worsen quite a bit before you qualify for the next rating. You can find the charts that show how the results are used to determine your rating on our site. Just compare your test results to the charts, and you can determine whether or not you were rated correctly. two years ago I was evaluated at va for my profound bilateral hearing loss. I was 13 Bravo and had a head injury as well as noise exposure (almost simultaneously), but VA could not locate my service records - it happened in 1984. So they denied SC. I was able to find my service records through the state (I was national guard) and Dav opened claim for tbi and tinnitus - my hearing loss is under appeal. I got 0 % for tbi and 10% for tinnitus. At the time of my c&P i only mentioned that i had vertigo once to the first examiner. But the examiner who did the balance testing never asked about it, so I did not bring it up. About three weeks after decision I saw a top ENT who wrote in a letter to va that my illness was "consistent with post traumatic menieres disease" but that he could not prove it due to the elapsed time, but that it was likely service connected to my tbi and noise exposure. The dav immediately sent in a request to reopen. I also have episodic vertigo when I am laying down and occasional balance issues. I do not know if the ENT's letter will be enough to convince the VA, but if it is would my profound hearing loss be rated at 100% or would it get lumped in with menieres at a lower rating since I do not have weekly gait issues ( more like once or twice a month)? It's going to be tough to convince the VA that your current condition is post-traumatic Meniere's with clear supporting evidence in your medical records from the time of the TBI. The symptoms of Meniere's would have had to develop in an appropriate time after the TBI and been recorded. Really, to be able to best guide you on this, I need to know why they VA denied your hearing loss. What did they say on your rating decision? How best to appeal and go from here will all depend on how they are viewing your case, and without knowing why they denied, I'm not sure. There's a few different ways things could go. As for the vertigo, the doctors must clearly link this to the TBI in order for it to be ratable. Dizziness on its own is not ratable. If it can clearly be attributed to the TBI, however, then it can be rated as a peripheral vestibular disorder under code 6204. If Meniere's is officially diagnosed and acknowledged by the VA as caused by the TBI, then you will either get a single overall rating under code 6205, or three separate ratings: one for hearing loss, one for tinnitus, and one for the vestibular disorder. I can't possibly tell you what your hearing loss would be rated without knowing your test results, but you can check out our hearing loss rating system and figure it out based on your tests. Thank you for the response Dr. Johnson. In 1984 during training I had an accident and suffered a concussion (and broken wrist) and had a Gun (155 howitzer) go off next to me without my plugs in. I had ringing in ears as shown by service records. In 1986 after i was home, i had a documented emergency room visit for fullness in ears and some hearing loss. In 1987 i had a really bad vertigo attack that sent me to emergency room and then to a specialist (documented). It was diagnosed as viral, but in his impression the Dr. said that "early stage menieres can not be ruled out". That was 1987. In 1989 i lost all hearing in my right ear. Documented. In 1993 i lost all hearing in left ear. Documented. I have cochlear implants. I did not know that i qualified for benefits until 2010 - i was nat'l guard and no one told me i was eligible until i received a letter in the mail about checking my benefits because of a hack. When i inquired about 'what benefits?' i was told that i was eligible. I opened a claim on my own for hearing loss in 2013. I had no clue about gathering evidence. VA could not locate records. They denied. Quoting from SOC "VA examination findings show the left ear with 0 percent discrimination...The average decibel loss is 105 in left ear. The right ear shows speech discrimination of 0 percent...The average decibel loss is 105 in the right ear... There are no specific records regarding the etiology of the deficit. Noise exposure is conceded with the veterans MOS in artillery and veterans reports of noise injury/head trauma"
None of my records could be located. They denied. I appealed - on my own again. Then a year later i got records from the state that showed the concussion and ringing in ears in service. I then went to DAV and they opened TBI and tinnitus claim. TBI granted at 0% tinnitus at 10%. A month after getting rating my long awaited ENT exam came through. That is when the ENT said it was "consistent with post traumatic menieres disease" but that he "could not prove it because of elapsed time" but that "pre-enlistment exam shows perfectly normal hearing which would preclude a pre-existing condition" and that "post traumatic menieres disease after his extreme noise exposure as well as concussion is likely connected to his service related disability"
Sorry for writing a book! When did you officially end active duty service? In 1986? The vertigo incident occurred too long after the concussion for it to be definitively related without a diagnosis of Meniere's occurring earlier, so that will be very difficult to prove. For the VA to consider a condition caused by TBI, it has to have very clear and direct ties to the original trauma. Since Meniere's wasn't even introduced until 2 years after the incident and was not specifically determined as caused by the TBI, the VA will simply not recognize it as such. Unfortunately, your proof is just not solid enough to satisfy the laws that govern the VA.
That being said, you should still be able to get your hearing loss since you have records that show the noise exposure incident and your MOS. Hopefully the appeal that is action will come back in your favor. I don't think, however, that the VA will grant you Meniere's or vertigo. I could always be wrong, but with the laws in place, and as I understand things, the symptoms developed too long after active duty and there is simply not enough evidence to connect them to the TBI. "The evidence shows that you currently have hearing loss for VA purposes, but service connection cannot be granted without a medical link between your hearing loss and military service. Although you have hearing loss for VA purposes there is no medical link between your hearing loss and service. In the absence of such a link, service connection may not be granted. In addition, there is no evidence that disabling sensorineural hearing loss manifested itself to a compensable degree within a year of service. Your VA examiner stated that the etiology of your hearing loss cannot be determined without resorting to mere speculation. The examiner was unable to link your hearing loss to your military noise exposure. The following rationale was provided: Audiometric records are not present within VBMS records." Thanks for the reality check Dr. Johnson. I may not have wanted to hear that, but I probably needed to. I guess this will keep me from checking ebenefits every day. I hate to be the bearer of bad news, but it is what it is, sometimes. As for your hearing loss, though, your MOS is on the Noise Exposure Listing as a high probability, so the 1-year period shouldn't really apply. We've worked with guys who have been out for 10 years and go back and get hearing loss granted because of their MOS. I don't think it has all that much to do with that single incident as much as with your regular exposure to noise in your MOS. Again, though, since I don't have the whole picture, it may be that the severity of your hearing conditions are such that they are not indicated by the length of your service and exposure level. So while I can't guarantee that your appeal will be successful, I do still think that there might be some hope there. Yes, hearing loss and tinnitus are rated separately. You'll receive one rating that reflects the level of your hearing loss and then another 10% rating for the tinnitus. Hey Doc, My claim for tinnitus was denied based on the "opining" of the audiologist that my hearing loss was caused by my civilian occupation. Which happens to be the same occupation as that of my military service. The VA MOS Hearing chart rates my MOS as moderate. Any suggestions? How long were you in the military? How long has it been since you retired? This is a tricky one since the jobs are the same. In most cases, the VA would grant it for a moderate MOS, but if it's been a significant amount of time since you've been out of the military and the tinnitus just now developed, I could see how it may seem more likely related to your civilian job, not your military. It would have developed sooner. That being said, it clearly is all related since it's the same job, but the VA probably will not look at it that way. If you hadn't continued in the same job post-service, then you may not have developed tinnitus, so it is the result of the civilian job. Now if it hasn't been that long since separation and you served for awhile, then you have a much stronger case as tinnitus often takes some time to develop. Ultimately, I think the timeline is the key here. You can always go to another physician to get a Nexus letter. I'd call around and find one that will be willing to write it and then make an appointment. This one is going to be tough since it has been so long since service. Meniere's normally develops when a person is in their 40s or 50s and usually gets better, not worse, after 5-15 years. If you are just being diagnosed with it now, some physicians would feel that the claim is stretching it a bit. But the key to a strong claim would definitely be to get a Nexus. I served in the US Army as a MOS 13F Field Artillery Forward Observer from 1982-1984. I submitted a VA Disability Claim for Tinnitus in 2014 after learning it was a condition that could be claimed. After waiting over a year for a C&P to be scheduled, the VA denied my claim and closed the case without ever scheduling the exam. They also stated my medical records could not be found proving a correlation between service and condition. In 2016 I contacted the DAV and provided an audiology report performed at a USAF hospital verifying Tinnitus and hearing loss. We submitted a new claim and was quickly scheduled a C&P exam which I completed in March 2017. My case is presently listed as "gathering evidence" and waiting determination. My question is I haven't supplied any additional information/documents regarding my claim and would like to ask if I should send in a letter explaining my history or the 10-35 FAST memo. Or, does the VA have enough with the C&P exam results and verification that my MOS has a High Probability to render at least a 0% SC rating for hearing/10% for Tinnitus. They should have enough. You submitted your medical records, correct? If so, then they have your history and your MOS, so that should be sufficient. Not sure what the problem was in 2014, but it seems they made a mistake at that time, but that they are considering it correctly this time since they scheduled the C&P Exam. As long as they have your medical records, evidence of your MOS, and evidence of your current hearing loss/tinnitus, you should be fine. Thanks for the response! During the initial (2014) review they stated they could not locate my medical records and were lost. I do not have copies from my out-processing all those years ago. I did not submit a copy of my DD214 which lists my occupation as 13F10 Fire Support Specialist. Should I upload the DD214 to verify my MOS? Not sure what to do about the medical records since both parties don't have them. Ideas? Yes, definitely verify your MOS. They need that evidence if they are going to grant presumptive connection. As long as they have the MOS and medical records showing your current hearing loss/tinnitus, that should still be enough to prove service-connection since your MOS is high probability on the list. It's probably a good idea to still try to find those records, however. I recommend contacting the medical facility at the last place you were stationed. Talk to the medical records department. They may have already sent them to a storage facility. If so, they can tell you which one and give you the contact info. If neither of these places have them, then they are probably unrecoverable. Well I was denied by the VA for both Tinnitus and Hearing Loss. The VA couldn't locate my medical records and used that fact for denial even though my MOS has a high probability for hearing loss (13F). For the hearing loss claim the VA examiner confirmed hearing loss but opined "that it is less likely than not" that my hearing loss was due to military noise exposure. They provided the rationale that I had a high probability of hearing loss with an MOS of 13F; however my file did not contain and entrance or exit audio exam, so hearing during service cannot be determined without assumption. For tinnitus they didn't even list that they reviewed the VA examiners report. I plan on appealing their decisions/denials with assistance from the DAV but wondered if I should also seek a legal route or professional medical assistance as this just doesn't seem right or fair. I definitely see where you are coming from. Unfortunately, they are legally in the right since you do no have the required medical records. You can, of course, pursue this further, but without those records, it will most likely continue to be denied. I was finally able to get my medical records from our state National Guard which is where it looks like they ended up. While the copies are poor, the records show my Audiometer results from enlistment, separation from active duty and separation from the Guard. My initial Audiometer scores were 0/5/10/15, my separation from active duty shows 5/10/15/20 and my final audiometer scores were all 25 across the spectrum. Would this be sufficient to aid in my appeal to the VA? Many thanks for your continued advice! Definitely submit again with this additional information. What they need most is to prove service-connection, and having these results from your military career does help. The only negative is that you did have very minor hearing loss upon enlistment, but there you have an argument of at least service-aggravation, if nothing else, since it did worsen a little during your time in service. Regardless, these numbers do not show serious hearing loss and would only qualify for a 0% rating based on the hearing loss rating system. If there is medical record evidence of tinnitus pre-retirement separation (an audiology exam and pre-separation medical screening report) as well as record of illnesses that may be causation (significant inner ear infections), is that enough for service connection nexus, even though I have a low-risk MOS and no TBI or other event? I'm doing my claim within 1 year after retirement and had a C&P exam with an audiologist and also an oto doc for the tinnitus. 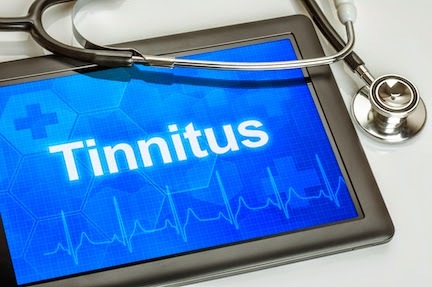 If your tinnitus was officially diagnosed while still on active duty (sounds like it was), then it is automatically service-connected and will qualify, no problem. I have had a "moderatley severe" hearing loss from my Navy days. This diagnosed in 2012 during a physical. Previous physicals many years ago had the same issue. My MOS for noise is low. I was in a carrier based fighter squadron very close to engine noise. My berthing compatment was just under the port catapult. No question about the hearing connection to me, asking for help just never occured to me. I am 67 now and did not realize I could qualify for disability until a neighbor explained VA benefits to me. Your thoughts would be much appreciated. With your MOS being low, it's going to be difficult to prove connection. Do you have record evidence of your circumstances? If you have records that show your regular exposure to loud engine noise, it may be enough to prove service-connection. If you don't have this, however, you probably won't be successful. Hello Doc. I've never filed for hearing loss plus tinnitus. My mos 11B Army,served in Veitnam for 18 months.my tinnitus has been ringing 24/7 for 35 years.Any advice filing a claim would be appreciated. Had my nose broken twice while on active duty in the seventies which resulted in deviated septum. My question is why I wasn't considered service connected due to that since the date I was discharged since they were aware of it. So the deviated septum is clearly recorded in your military medical records? If it is listed in the records as a result of those injuries, it should definitely be considered service-connected. However, if there isn't any evidence that the deviated septum occurred because of those injuries, that's where the problem lies. When does the deviated septum appear in your medical records? If it is more than a year after service, then there is no evidence that those injuries caused it, unfortunately. You may be successful in an appeal if you have a physician write a NEXUS letter that basically states that the deviated septum is "more likely than not" the result of those injuries. My name is Mike T and I was in the Navy in the Late 80’s early 90’s. I was a Corpsman assigned to land, air and sea duty stations which involved direct and prolonged exposure to aviation noise prop and Jet Wash, a Sick Bay located directly over the Number 2 engine room aboard ship. And a tour with the Marines during the Gulf War. When I was discharged I was having significant hearing problems so I went to the VA. I was seen, tested, and diagnosed with Unilateral mid and high range hearing loss in my left ear. My right ear was also diagnosed but at the time they rated the worse of the two ears not both. I received a 20% rating. I never fought it, and psychologically denied my disability as I thought I was too young to be disabled. Now, I am 50 and my hearing loss has started to become acute. Constant and extremely loud tinnitus in both ears, pressure changes that give me an inability to hear for short periods and complete hearing loss when sleeping on right ear exposing only left ear. I have one to two balance issues per week including light headedness, room spinning when I stand suddenly, and room tilt when walking down long passage ways. I have within the past 5 years had to abandon my career as a Surgical Technologist and take a huge salary reduction ($20k per year) to work in Materials Mgmt. I could no longer hear the docs in surgery request instruments and I couldn’t read lips because of the surgical masks. I’m almost at my wits end. Is it within my rights to go back to the VA finally and seek help? Should I seek representation with the DAV? Please any advice would be helpful. Sincerely, Mike T.
You can definitely apply for an increase and for secondary conditions. The VA will always increase your ratings if your conditions worsen, and they will cover any conditions that are clearly caused by service-connected conditions. On the form in box 7, request an increase of your hearing loss. Then add tinnitus and balance problems under secondary disabilities. Make sure to submit evidence of all of your conditions, including a letter from a physician that states that your secondary conditions are "more likely than not" caused by your original hearing loss. Hi, Navy CTT (series 91 CTI on the hearing loss list). I served 4 years from 71-75 onboard various ships and submarines. Orders were top secret so they dont go into detail where we were or what we were doing. Needless to say I was a radar Intercept person who listen to loud signals for 4 years through headphones. I have pretty bad tinnitus and would like to know what I might do to get this looked into by the VA. So you have a difficult case because of your MOS. Series 91 CTI is listed as Low probability on the hearing loss list, so your claim will be denied unless you have other proof that you were exposed to those loud signals regularly. When you submit your claim, also submit evidence of being stationed onboard ships and submarines as often these environments are enough to establish hearing loss. Also, a letter from your commander or similar stating your environment and job specifications would support your case, but could be very difficult to obtain. Howie (below) is correct that a VSO could help, but ultimately, getting the proof is going to be difficult if not impossible, so their help may not be beneficial in the end. However, a NEXUS letter could definitely help. Make sure your physician clearly states that he believes your tinnitus is "more likely than not" caused by your Navy work environment. It is going to be very difficult to prove your claim, and I want you to be prepared that you may not be able to obtain enough evidence to be successful. Had your MOS been listed differently on the list, it would be a different story, but the VA is programmed to deny your claim since it is a low probability, so it is going to take effort and as much evidence as possible to get a favorable outcome. Mike Erch- I wish you the best of luck with your hearing issues. I too suffer from constant "ringing" of the ears(not to mentioned my hearing loss) attributed to my service while working of aircraft. While filing a claim with the VA, I do recall having to obtain my military medical records(a time consuming issue)and getting thru the VA red tape. I suggest you obtain help with a VA service officer ( American Legion,or other Vet organizations) to assist you with your claim. I would suggest you seek help from a medical professional (Non-VA medical professional) to help you with a VA- nexus letter. I wish you the best of luck with your claim and be prepared- it`s a slow process!! I worked on the flight line loading cargo onto planes my old (1974) afsc was a 60551 don't know what it is now. I filed for hearing and tinnitus. was turned down for both they said I didn't connect it with my time in the service. Hearing came back as borderline of needing hearing aids and my job rating wasn't a high priority for tinnitus. How can working around planes with engines running not be a high priority noise. AFSC 60551 became the current 2T2X1 Air Transportation MOS. The issue is that this MOS also covers desk jobs for people organizing air transportation, not just those loading the actual planes. If you can provide additional evidence that the majority of your work was on the flight line, you may be able to get them to change their decision. Yeah, definitely odd, but not enough evidence to deny your claim if you can still prove that you worked on the flight line. Dr. George, my husband served on an aircraft carrier in the Navy during the Vietnam Wars(1965-1969). He is service connected for hearing loss (50%) and tinnitus(10%), bladder cancer(20%), headaches(30%). He also has been diagnosed with meniere's disease by his neurologist. He gets episodes of dizziness and loss of balance almost daily now. He is taking medication which helps. He didn't know much about the VA disabilities so didn't put in a claim for anything until 2 years ago. They have denied the Service Connection for the Meniere's Disease. We filed a reconsideration and it was also denied. There are 3 doctors saying it is service connected and 2 doctors (one which is in another State and has never met him) the other is a VA ENT practicing plastic surgery that do not agree. The approving doctors are his private Neurologist, and two VA doctors (ENT's). The two that disagree are both VA doctors. He plans to appeal but wants to make sure he gets the Nexus letter correct. He has had episodes of vertigo/dizziness on his service medical records as well as several ear issues. We got married 4 months after he got out of service, but were dating/engaged 2 years before. Since we have been married (1969) he has experienced dizziness and balance problems off an on. I'm sure he mentioned it to doctors through the years but we always thought it was inner ear infections since he had the hearing issues. The dizziness and loss of balance used to be maybe once a month, but progressively gotten worse over the years. The Neurologist has done MRI & MRA and has said in his medical records that it is likely caused by his noise exposure in the service. We are going to appeal the decision. Will it help if I write a Nexus letter indicating that I have witnessed his episodes of dizziness and loss of balance over the years? I plan to also go back to his Neurologist and possibly another doctor to have them write Nexus letters as well. If I write a statement, what should I say in my statement? I'm at a loss and just don't know what else we can do. Should I just give up or keep fighting? Before giving up, definitely try to submit the NEXUS letters from those physicians who do feel it is service-connected. Try to get one from each of the 3 doctors, if possible. You can submit a statement (it won't be a nexus since you aren't a physician), but your statement will not be very powerful. The letters from the 3 physicians will hold the most weight. If after you appeal with these NEXUS letters the VA still denies it, then it may not be possible. But definitely try this before giving up. I have bilateral hearing loss that recently required the use of hearing aids, which I received through the VA. I applied for VA disability for the hearing loss but VA denied it claiming the hearing loss is not service connected. In my online research on this matter I came across a chart of Air Force AFSCs that were considered assumptive for hearing loss, but I did not bookmark the site. This chart was probably created before the AFSC to MOS conversion was completed. Can you provide the website address or name of this AFSC chart? FYI - My AFSC WAS 32852, Airborne Early Warning Radar Specialist. MOS conversion is 2A553 This MOS is listed as "High Probabilty" on the Duty MOS Noise Exposure Levels list. Thanks for the quick reply. However, my VA counselor says that the AFSC list/chart I mentioned in my original request would greatly help my appeal. As stated before, this list was compiled before the AFSC to MOS conversion was compiled. So, once again my question is: Do you know the name of the Air Force chart or list that states the probability of hearing loss by AFSC? This is the only official list used by the VA that I am aware of presently, but you can convert the old AFSC to the current MOS used on this list. That is what the VA does, so your AFSC should still correctly translate here. You could site this to them and it could help, but they should already be using this as reference and converting to the current MOS codes. Good morning. I was a 4B0X1 in the Air Force, which is low on the spreadsheet. However, we went out to conduct noise dosimetry and sound level readings for employees and equipment, would there be a high likelihood for a reversal on my "not service connected"? Wales10--good luck with your VA claim. I'm currently receiving a 20% disability rating from the VA as a result of my work in and round aircraft during my Navy years (Aviation Electrician). My ability to understand conversations (speech discrimination) has worsened over the years, however, even after providing the VA with hearing test results from my own doctor and the VA testing facility, my request for higher benefits was denied. Why? My hearing tests need to be "Maryland CNC" type testing in order to be considered for higher compensation. My point here is despite having medical documentation or working in jobs such as Wales10, nothing is assured with the VA. Best wishes with your claim(s) !!! If you can provide proof of your noise dosimetry and sound level work (including the length of the testing to show prolonged exposure), then the VA may grant your claim. It is always tricky to get a decision overturned, but not always impossible. You have to be able to provide the VA with a firm case that makes it clear that your hearing loss was definitely caused by this service and no other circumstances. If you are able to do this, they will grant your claim. You are fighting a hard fight. The reality is that the DAV does not have the power to grant an exception to a rule at this level. In order to get a change, you will have to appeal to the US Court of Appeals after being denied by the BVA and may require a lawyer. An easier option would be to wait until the VA releases its proposed changes to the ratings for the ears. They are in the process of rewriting the rating requirements and haven't yet done hearing conditions. As a part of the rewrites, they are updated tests/terminology/etc. to reflect more current best medical practices. When they publish their proposed changes (which we will blog about), you can submit comments regarding the changes and propose additional adjustment/changes, including this very issue. They then must fully consider all comments and apply those well argued and supported. While I don't suggest removing your appeal since it still must go through the BVA before you can appeal to the higher courts, commenting on the proposed changes may be more effective and faster. Thanks so much, thinking of trying to get an attorney to set the stage at the BVA for the eventual appeal to the court. Please do, and good luck!